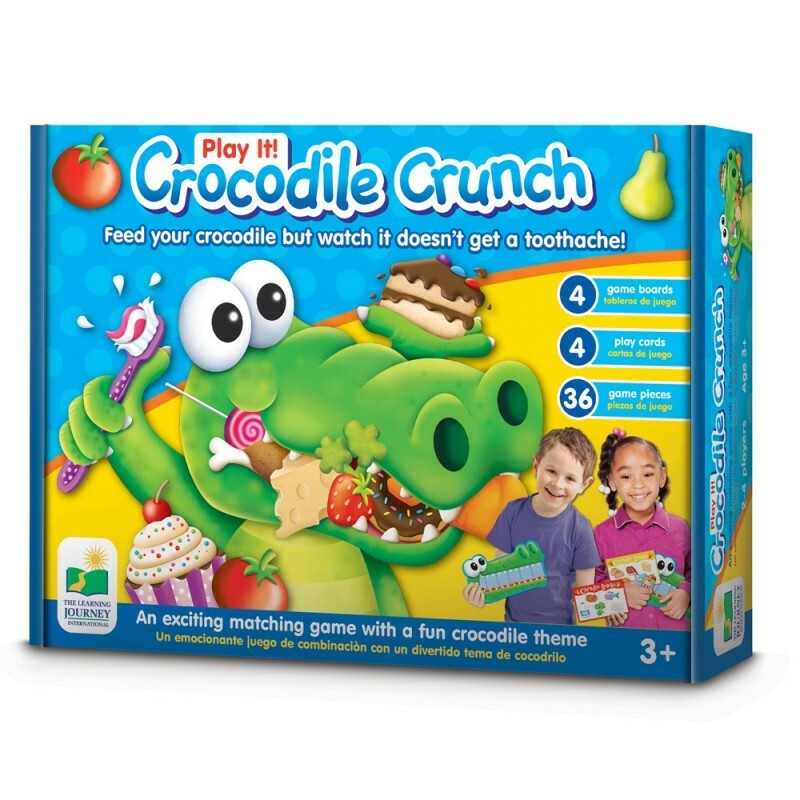 Kids will be “biting” at the chance to play this action-packed game. 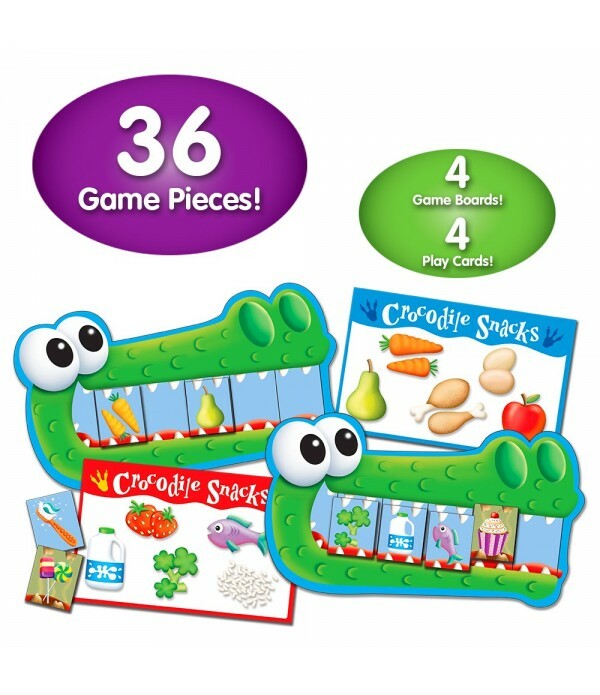 Game includes 4 colorful crocodile game boards, healthy & unhealthy food cards and 4 food play boards. 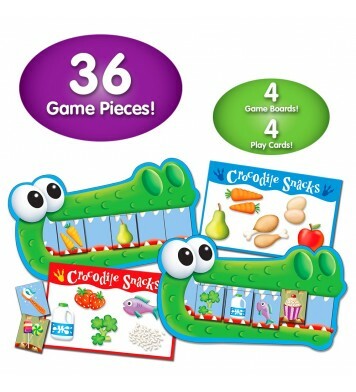 Simply place all the food cards face down and each player will take turns flipping over cards until a correct food item card that matches their food play board is found. Place the correct card in the crocodile’s mouth. 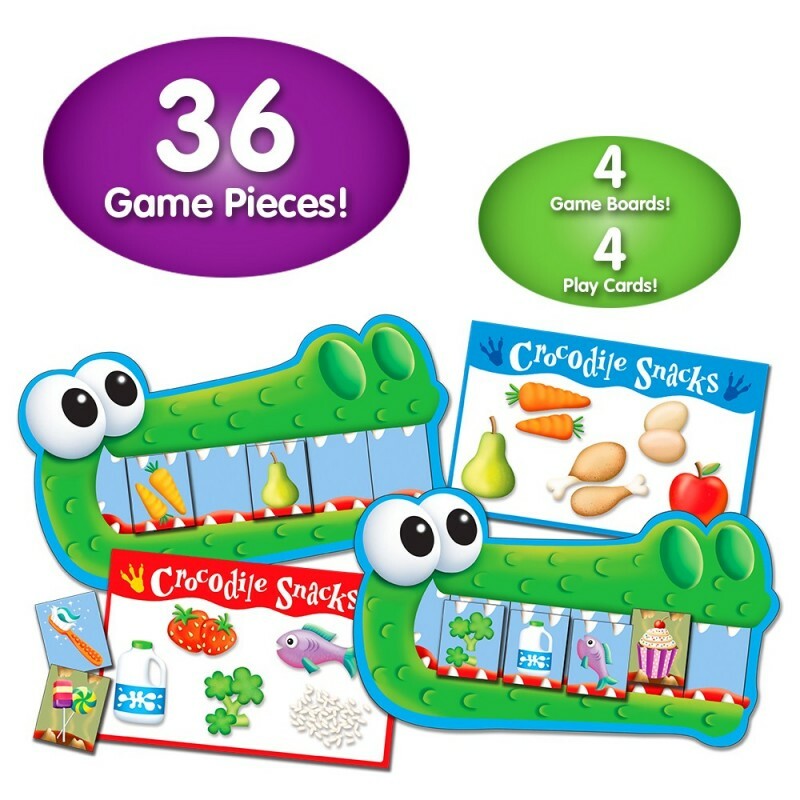 If a bad food item is selected, place in the crocodile’s mouth until a toothbrush card is selected to “brush away” the unhealthy food item. Be the first one to fill your board to win the game! For up to four players. Ages 3+ years.